It almost sounds too good to be true: Researchers have developed a tiny sponge that can reprogram immune cells to attack cancer. The treatment is less invasive than surgery and potentially more effective, too. And with human trials beginning this week, there's a chance it will soon be available for everyone. This impressive-sounding scenario is very much a real thing. A team of Harvard scientists are currently perfecting an innovative new treatment for melanoma, the deadly skin cancer. 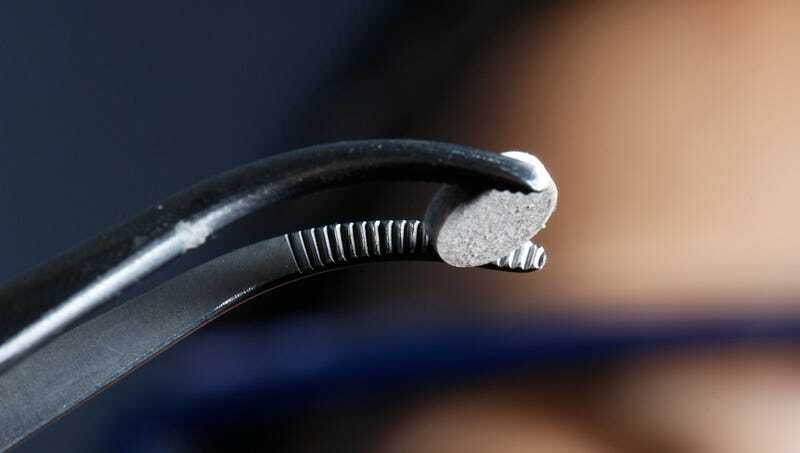 Unlike similar approaches that require patients' immune cells to be taken out of the body and reprogrammed to fight cancer cells, this treatment implants a small sponge—about the size of a fingernail—under a patient's skin. The sponge instructs the immune cells to seek and destroy cancer cells, and it works. In one study, about half of the mice treated with the vaccine were tumor-free after 25 days. Now it's time to see if it works as well on humans. Vaccines for melanoma specifically have proven difficult to perfect. Earlier this week, a melanoma vaccine produced by GlaxoSmithKline fell short of expectations and immediately raised doubts about whether it would ever make it to market. Nevertheless, scientists remain hopeful that the immunotherapy approach—that is, training the immune system to kill cancer cells—will be the path forward. One immunotherapy approach unveiled last year was shown to reduce or cure all different types of cancer, and researchers think this new sponge treatment could do the same.